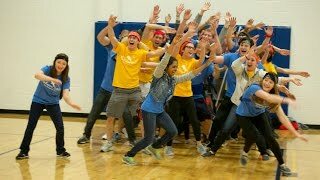 Springfest is an ever-popular and growing week of team competitions culminating in Sports Day and the mud tug-of-war. Let the games begin! 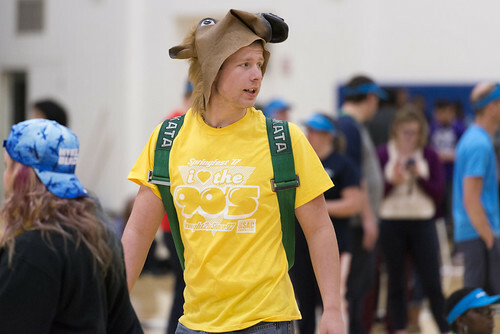 One of the longest running and most popular events at UIS upholds traditions and unites the campus. 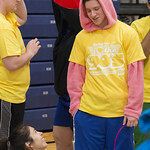 Springfest challenges include a scavenger hunt, trivia night, flag and chant competition, sports day, and is sponsored by the UIS Student Activities Committee (SAC) a student-led organization. The 26th annual Springfest 2018 was held in April 14 -21. 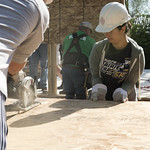 Springfest is a week of events and competitions with a focus on community-building and interaction. Each team is given points for these events for a variety of reasons. 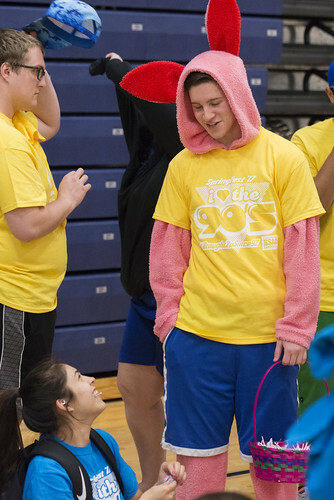 While the majority of Springfest participants are students, teams can have up to two alumni, faculty, or staff members on a team. 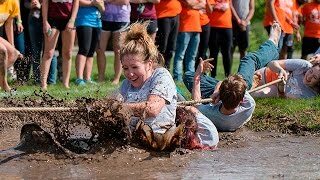 The most anticipated event on Sports Day is the mud pit tug-of-war. After all the major and minor sports have been played, teams head out to the west side of Kiwanis Stadium where a mud pit has been created. This is the final event of Springfest and a fun reward for all the hard work put into the week. 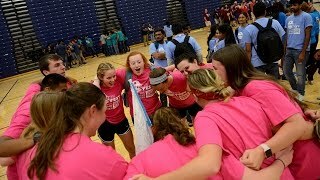 On our YouTube Channel, you’ll find video of different Springfest events, including the mud tug-of-war, the scavenger hunt, Jenga XXL, volunteer projects, and more. The annual Springfest Scavenger Hunt gives teams a list of 200 items to collect on campus in an hour. Students must locate the items without using forms of transportation other than walking and running. 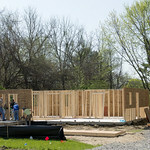 Students help Habitat for Humanity build a home in Springfield for the Springfest Service Project. Teams of students have one hour to gather 200 items and take selfies at various points around the campus. 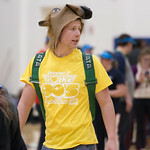 On our Flickr Collection you’ll find photos from different Springfest years, including many different Springfest events. 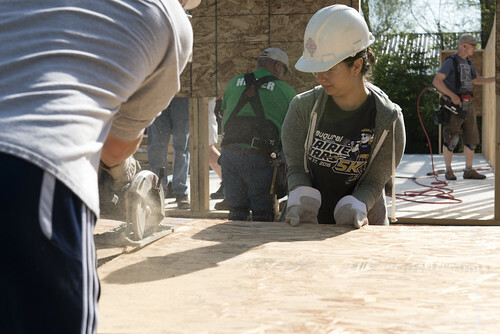 Springfest is both team-spirited and community building event, and teams also participated by working with Habitat for Humanity to build a home from the foundation to the roof in a “Build Blitz”. 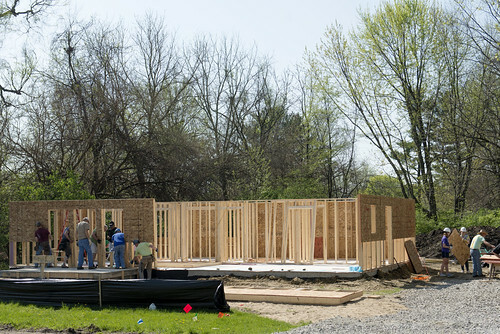 The Build Blitz is part of a volunteer event called the Springfield Service Project. 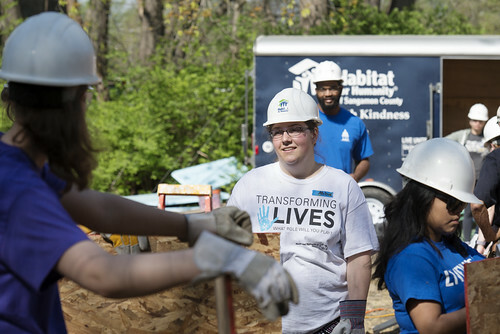 Previous service projects have included painting and renovating houses, planting trees, and more activities that have contributed to a better Springfield community. 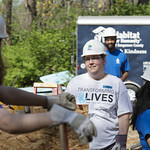 This is the fifth year that students participating in Springfest festivities were able to volunteer to this project and help gain bonus points for their team. The 25th annual Springfest took place April 15 – 22, 2017. The first Springfest is believed to have been held on campus in 1992, although the event is much different today.